Belden Egg Ranch. Central Valley, California. 500-foot row of laying hens. 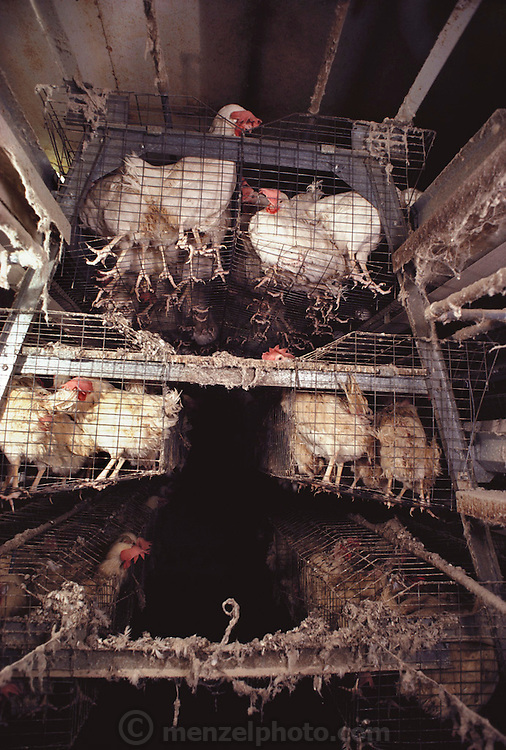 The cages are offset but there is some overlap and chickens defecate on each other. USA.